Since its conception, Rolex is a brand that has always been synonymous with the pursuit of discovery, innovation, and unadulterated quality. It has found itself at the forefront of history on more occasions than rival brands would care to admit. In 1905 a young German by the name of Hans Wilsdorf traveled to London with a vision and a passion, he couldn’t have known that the project he was about to embark upon would ultimately lead to creating one of the world’s most illustrious and desirable brands. With the First World War looming, Wilsdorf was determined not to let a geo-political crisis shake his vision. By 1910, Rolex became the first wristwatch in the world to be given the prestigious Swiss Certificate of Chronometric Precision. The award catapulted the brand into the esteemed status it still holds today. In 1919, as war ransacked Europe, The Rolex wristwatch company relocated to neutral Switzerland and proceeded to ensure its status as the world’s leading wristwatch. In the 1930s, characteristically at the forefront of innovation, Rolex proved its ability to withstand never achieved before speeds. “The King of Speed” Sir Malcolm Campbell sported a Rolex while setting a land record which exceeded 300mph in Utah. This was not to be the first, nor the last time a vintage Rolex watch found itself at the center of man’s pursuit of the new, undiscovered, and unachieved. The Oyster watch was worn in 1933 on the wrists of the crew members who were the first to fly over Mount Everest, after which they reported that the Rolex exceeded all expectations. Throughout the century, the Oyster Chronograph has been worn by those pushing the envelope of human pursuit time and time again, in many fields. Rolex saw this as a formidable chance to display and test the Oyster’s superiority to anything on the market, with a remarkable track record. 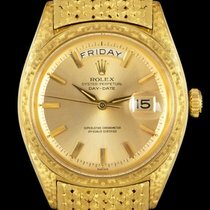 Today, the majority of Rolex wristwatches in production are variations of the Oyster. These classic vintage Rolex watches are timeless, and many are out of production. 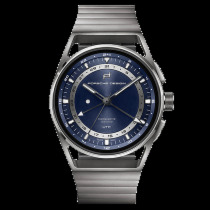 Like any piece of classic art, the only way collectors can obtain one is to acquire a pre-owned model. 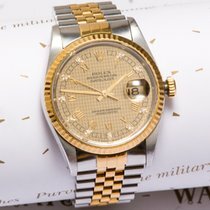 Thanks to Chrono24, worldwide collectors can locate and buy a classic used Rolex watch with ease. Amongst the most desired commodities on earth is the Rolex Cosmograph Daytona, the classic sports piece was affirmed as one of the most sought after timepieces in the world when one fetched 1.1 million USD at the Christie’s auction house in London. One of the most esteemed vintage Rolex models is the Cosmograph. 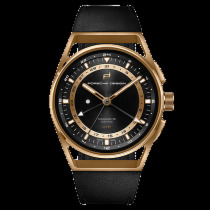 Composed of the highest-quality stainless steel and solid 18K gold, it features chronograph pushbuttons and a screwed-down Triplock winding crown. 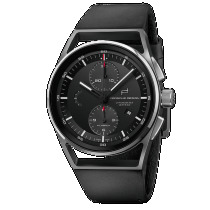 Simply put - it is one of the finest watches in the world. The Cosmograph was introduced to the Rolex family in 1962. Its class and reliability have been demonstrated by the iconic actor and race car driver Paul Newman, who allegedly wore a Cosmograph Daytona every day from 1972 until his death in 2008. 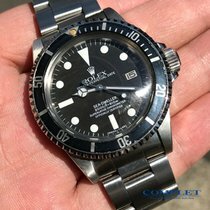 Another classic vintage Rolex which is internationally renowned, and not simply for its esthetic value, is the Rolex GMT-Master II. True to Rolex’s ambition to serve those pushing the boundaries of human achievement, it was originally designed to meet the demands and needs of international pilots. With its proven durability to withstand long distance flights, the authentic aviator’s timepiece is proclaimed to be the watch of skies. A testament to Rolex’s strength as makers of complications, the pilot could concurrently read the time in three different time-zones. 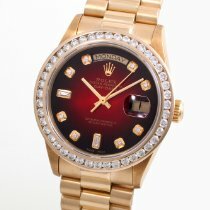 The mature and cultivated design has made it one of Rolex’s most iconic timepieces. The Rolex GMT-Master II is among the most loved watches in our collection. Unlike many goods, where having the latest commodity fresh of the production line is king, classic Rolex wristwatches are different. 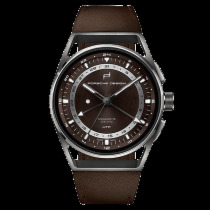 Models which are no longer in production, such as the Castello, Orchid or even the Classic itself can be found at Chrono24. 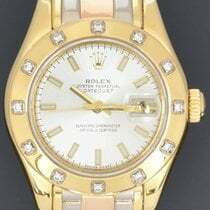 Meaning that collectors can source the finest of pre-owned Rolex watches to their satisfaction. 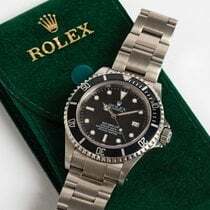 Whatever used Rolex watches collectors are looking for, they are sure to find a wealth of vintage Rolex watches to meet their demands at Chrono24.